A small cooler of water spilled in the TRUNK of my 2007 GL450. The Electrical Damage has exceeded $4,000! I am being told that it's my fault, and damage is not covered! Here's the letter I wrote to the president of Mercedes. I have been the proud owner of a Mercedes-Benz since November of 2006. We purchased a 2007 GL450 from the Mercedes-Benz dealership in Wilmington, Delaware. We bought this car to transport our busy family of five. My husband and I have three active young children that play sports; therefore we travel thousands of miles by car each year to sporting events and for family vacations. Until now, I have been very happy with my vehicle. Unfortunately, a recent experience has tainted my view of Mercedes-Benz. On August 23, 2008, my two-year-old Mercedes-Benz broke down leaving my husband and three kids stranded on the side of the road. I called your roadside assistance, and two hours later a tow truck towed the vehicle to Mercedes-Benz in Pleasanton, California. We were later informed that the servicemen found an empty small cooler of water in the trunk. They assumed that the water leaked out of the small cooler and caused water damage. The cooler was in the trunk, because my son had football practice Friday night. In fact at least three nights a week, we take a full cooler of ice and water to the practices. By the end of the two-hour practice most of the water is gone, because he drinks it and pours some of the cold water on his head to cool off. Therefore, there could not have been a lot of water remaining to spill out Saturday morning. Although I cannot say for sure how much water dripped out, I can intelligently estimate that less than 32 ounces could have spilled into the trunk. Ultimately, Mike Marino, the Service Manager at Mercedes-Benz in Pleasanton, California has informed us that we are responsible for more than $1500 dollars worth of damage. He has also informed us that the interior of all Mercedes-Benz have electrical panels throughout the car that can be easily be damaged by water. Claudia, an Escalation Specialist from Mercedes-Benz verified this information as well. Imagine my surprise? Why was I never told this information before? Why are these panels not better protected or made water proof with a simple plastic cover over the panels to protect them from moisture? Imagine the disappointment of millions of Mercedes-Benz owners, if they knew that simply spilling a cup of Starbucks in their luxury car could cost them thousands of dollars. This is an unacceptable quality standard for a family vehicle, especially a Mercedes-Benz. I am no engineer, but I know the technology to waterproof electrical panels exists. Please explain to me why these electrical panels are not protected? And if there is no way to protect the panels, why are consumers not informed and warned of this possibility. I am an educated and informed consumer, I have searched the Service and Warranty information and the Operator’s Manual and I do not see a warning to consumers! This information should be plastered everywhere, not hidden in the fine print of an automobile manual. Your highly trained and skilled sales team should tell customers. Yet, no one attempted to warn us of the exposed electrical systems that cannot withstand even one quart of water. My family drinks beverages in our car while traveling, we transport groceries, we practically live in our Mercedes-Benz, and therefore we need a car that can withstand an accidental spill. From the beginning, if we were told that this car could not withstand a small spill, we would have never written the check for over $65,000. I am also very disappointed in my service experience. It has been six long days of waiting and inconvenience. The service department is still waiting for parts from Germany. Therefore, we do not know when we will receive the car back. We were not offered a loaner. Yesterday, after several calls and insisting that we be given a loaner, Lance, the serviceman called Enterprise and gave us an Impala to drive. Is that a comparable replacement? Once again, this has been a huge inconvenience. VERY POOR SERVICE! Moreover, we had our first multi-family camping trip planned for this weekend. The camping gear barely fits into the rental car. We had to revise our plans, because our Mercedes-Benz truck broke down and our replacement Impala does NOT have space for everything. Unacceptable! And finally, my husband has had his sights set on a Mercedes 500SL for his 40th Birthday, my two best friends and I all bought a GL450 within a few months apart, because we considered it the best in class. My neighbor just asked me about for my insight, because she is considering the GL450 also. But I can honestly say, this incident has made me feel like a Mercedes-Benz is not appropriate for the majority of commuters, like my husband who drives 35 miles into the city every morning with a cup of coffee or busy soccer moms who have to drive around town carpooling, transporting children, and occasionally driving through McDonalds to feed the kids on the way to practice or ball games. With the escalating cost of air travel, more consumers are taking road trips. Consumers should be warned that a small spill during that road trip could cost you much more than airline tickets. The bottom line, I consider this problem a defect in the design and manufacturing of your vehicle. I am not willing to take responsibility for this damage, because no reasonable person would assume that a fairly small spill of water could possibly cause thousands of dollars worth of damage. After all, I am not talking about a window or sunroof being left open during torrential rains or God forbid, horrible flooding. This was a small spill from a water cooler… in a luxury car. I hope you will address my concerns. Mercedes touts the GL as "Light Truck / SUV" in their own web site. They also have made various claims as to its military heritage, its "ruggedness" and "off-road suitability" implying this is a well-constructed, tough vehicle designed for the rigors of off road driving. The experience from Lena reflects Mercedes' intentional deception. This vehicle is nothing more than another frail car complete with the Mercedes tradition of engineering mistakes and sub-standard design under the pretty carpets. Definitely not an "SUV" or anything close. naive lena..the MB to be proud etc died with the eighties..their reputation is thru money at the dealership, in a hypothetical more stupid world (around the corner he he)they could give the car at cost..they have the 1000 bucks washer will make the car run fine again..or the wires(? )by today standers MB is a waste of money..they are selling the badge this days; get three times more with a top of the line asian..DAMN! I hate what i just said but is true in my experience MB is like an Edsel very fine cars WHEN THEY WORK! naive lena..the MB to be proud etc died with the eighties..their reputation is thru money at the dealership, in a hypothetical more stupid world (around the corner he he)they could give the car at cost..they have the 1000 bucks washer will make the car run fine again..or the wires(? )by today standers MB is a waste of money..they are selling the badge this days; get three times more with a top of the line asian..DAMN! I hate what i just said but is true in my experience MB has become an Edsel very fine cars WHEN THEY WORK! Lena - Buy a Suburban. Even in spite of their financial problems, GM is generally aware that people sometimes have liquids in their cars. It took Mercedes until the 1997 model year to even consider cupholders! German engineers believe that you should drive with both hands on the wheel and your foot to the floor. We owned 3 mercedes before, and after reading this we are switching to Japanese cars for our next car. Bye Mercedes! 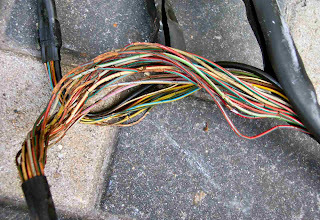 The main wiring harness on my 2006 E350 has disintegrated due to a manufacturing defect. The manufacturer has used an inferior and unsuitable insulation for the wires, which, is brittle, cracking and falling off exposing bare wires, creating an extremely hazardous situation. 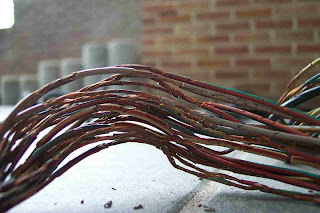 The wire insulation deterioration is causing the wires to short and prevents the vehicle from functioning correctly. This is creating a serious safety hazard. (possible, fire in engine, etc). Due to the seriousness, I recommended the National Highway Traffic Safety Administration order the manufacture to properly investigate and issue a safety recall. The manufacturer is aware of the defect but refuses to provide a solution. I purchased this vehicle new and operated under normal conditions. The Vehicle has been regularly serviced and maintained by Mercedes Benz authorized dealers since it was new. The Vehicle has been well kept and maintained. I recently gave up my 2000 BMW 323i with 165,000 reliable miles for a 2004 Mercedes-Benz SLK320. Let's hope it was not a bad choice. Incidentally, I also have a 1991 MB 300CE. I have heard about the wiring insulation problems on older Mercedes but have not encountered stiff or brittle wiring in the older car. I am, however, very careful whenever I have to do anything where I am moving or flexing wires under the hood. That is where most problems occur, in the engine compartment, where the wires are exposed to higher temperatures, corrosive chemicals and a severe environment which tends to deteriorate the wire insulation. 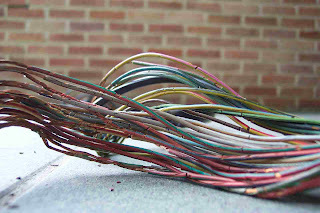 Wiring in the interior is less susceptible to damage and usually remains pliable. I was also under the impression that these wiring problems had been resolved by mid 90's. I guess that is not the case. In 2012 i gave up my 2003 Mercedes Benz SL500 and kept my 2000 BMW 323i. i had a lot of issues with the SL500 with only 82,000 miles wiring harness, transmission, engine, suspension, roof etc... than my BMW with 163,000 miles. Their service department is a joke $$$. Never again i'm going to buy a Mercedes Benz. Hello. My youngest brother had bought my father, a used 1995 C220. Talk about regretting it! Now I know why the owner of the car wanted to almost give it away. Since day one, my father was having the infamous CHECK ENGINE light come one, the fuel gauge working on/off, and the speedometer not coming on until car was driving above 50 mph. When we went to an independent Mercedes Benz repair place (I know not to go to the dealer unless I am Bill Gates in wealth) who asked me if I was having the CHECK ENGINE light problem with other electrical difficulties. I said yes how did he know and he asked me another question if I knew that these Mercedes Benzes had electrical problems. Thats when the repair guy told me a replacement wiring harness was $1,000 not including the labor in removing the old one and installing the new one. The bill would be another $1,000! I am so anti-Mercedes that I tell people to stay clear of them. Unless they plan to get the older before 1994 model year. I am so surprised to hear that Mercedes has gone this low in quality. I think now anyone buying a Mercedes is buying the logo and that is it. A shame that a company that has been in existence this long can go down the toilet. If somehow I can get a harness that is cheaper than the $1,000 price tag, I will put it on and then get rid of the car. my 200 ml320 caught fire under the hood driver's side and burned to the ground. thank god we were not in it and it was not in the garage. it was sitting in the driveway and had not been driven all day. mercedes benz said "too bad". does anyone have an attorney for this? should be a class action lawsuit for sure. hello sir i work on harness for a pinch of what they ask at the dealership.i build them which ever year you model is .just email me at nmugwe@yahoo.com. i have had to deal with these problems , been scared by the dealers and mechanics like all concerned benz owners until i studied the harness and built the first one for my car.now i not scared of the problem anymore. i could do it for a pinch of what those robbers ask for. I guess I can now join the ranks of consumers caught unawares by Mercedes Benz greed and deception. Last night while driving on a busy freeway, I began receiving various rapid warnings on the dash console, smelled something burning and made a hasty exit onto a side street where a fire erupted in the left front headlight. Per the fire department this was determined to be electrical and originated in the left front headlight (still waiting for final word from insurance adjuster and fire inspector). From what I have discovered in researching online information, it is probably due to faulty wiring in the headlight harness. I own a 2005 C240 that has been well maintained and serviced . . . had a waranty that expired the end of August and had taken it in for service on the Transmission and Motor Mounts just a week prior. Also asked the Service Co-ordinator to thoroughly check the vehicle for any other possible repairs that needed to be addressed before the expiration date . . . her response, "Mercedes does not repair anything that has not already failed". Thank goodness my passenger and I were not injured or seriously hurt and were able to exit the freeway, and ultimately the vehicle, before the whole left, front side became engulfed in flames. This has apparently gone on for years and years and it is UNACCEPTABLE! MB needs to be accountable . . . how many more of us will be affected by their lack of concern for customers safety . . . loss of personal property and the cost of replacing a vehicle is traumatic enough . . . does someone have to suffer a horrendous death in order for them to be held responsible? Has anyone actually retained a lawyer to represent them regarding this issue? I was considering an MB. Well, that's not going to happen. Same boat for many of us. 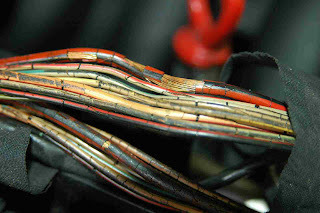 My 95 SL320 has the same biodegradable wiring harness issues. Where the hell is the class action lawsuit against MB??? stuck with no vehicle due to the $$$$ repair job. 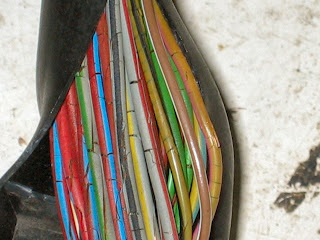 My 95 SL320 has a biodegradable wiring harness too. This is total BS mercedes isnt standing behind their products. How come no one has sued them and WON? There is more than enough evidence to get them on some serious charges and I AM SURE, out there somewhere, someone has burned to death in one of these cars. I wish I didnt buy my car now, if it does catch on fire, I'll deliver the ashes to my nearest benz dealer and have it dumped in their showroom! Hi my name is Todd and I had a 2006 ML350. It spontaneously caught fire as it was parked for two hours after I had driven it. The firemen state in the report it was an electrical fire and started from a short in the rear taillight harness, much like the investigation in the C-class. They could determine that in only twenty minutes time. It was deemed totaled and luckily It didn’t kill anyone. Look at the pictures below and see what you think. I brought this to Mercedes Benz USA's attention and they were careless about the safety dangers that this caused/posed. They said it wasn’t a manufacturers’ defect. Might I remind you the car had been parked for 2 hours. God forbid if consumers found out that the ML-class would be involved in the same investigation as the C-class. They were of more concern about this being leaked or exposed and tried to sweep my case under the rug. They held my vehicle for about 2 months for their "investigation" and not to have any conclusion of the manufacturers defect is complete BS. They told me that the fire was inconclusive and not a manufactures defect. Get this! They only gave me one case manager and limited me only to speak with her. After I had asked to speak to numerous other managers and higher ups they told me I strictly couldn't. After being trapped in this corporate cover up I had no where else to turn. SUSAN M( my west coast regional case manager) How many other vehicle cases did they sweep under the rug like mine? I do not expect this kind of cover-up from Mercedes and would expect them to stand behind their vehicles. I only had 76,000 miles on it. An absolute nightmare!! See the pictures below. THIS WENT TO CBS2 KCAL 9 THE BBB, NHTSA, numerous auto blogs ,CAS and the Federal Trade commission . I'M STILL NOT DONE!! 1994 s500,engin wiring fried, almost killed me.... Lost all power, on a steep hill. Had to ditch to the side of the road, very dangerous road with 800ft drop off... I can't believe this Co. Produced a over one hundred thousand dollar car that self distructs.. This is going to cost me a fortune & now the repair gentleman tell me the throttle Harn. Is also fried.. HAY mercedes, did you intend on killing me or what. Please help & make good on this predisposed to decompose fault on my beautiful car... It wants to live & so do I. This is related to a critical safety issue on Mercedes-Benz vehicles manufactured approximately from 1991 to the present. All these vehicles have an acknowledged and widely known problem with the engine wiring harness that has caused fires, vehicle sudden stalls on highways and other incidents. The harness will fail on all these vehicles as it is defectively constructed with an unsuitable insulation that prematurely disintegrates over time regardless of usage or mileage. The harness is a critical element of the vehicles' operation as it directly affects ignition, fuel injection, timing, cooling, rpm, mixture and other critical functions of the engine. The manufacturer is aware of the problem, and, absent involvement from the NHTSA or civil action, has refused to address it in a proactive and responsible manner. It is of the utmost importance that the DOT gets actively involved before a very preventable and regrettable fatal accident occurs as a result of this defect. There are a large number of complaints made by furious MB owners that have been victimized as a result of this known defective design. This should not be happening on a so called luxury vehicle that you pay a premium price for so that you can have better quality. In short, MB is a Wheeler-Dealer. All i can say to all of you is...........I'm completely speechless. I'm so sad about all that i read from the above. I just want to thank you all for your heart felt REAL LIFE story sharing. I own a 2002 clk320 my story is none. I have been blest in that, however i was currently researching the GL450 for purchase but OMG i will research other manufactures this point. So sorry for all your pains and near life lost over your purchase. Mercedes wiring failure may have been a factor in the train crossing accident in New York this week. I have an ML350 and only has 146000 km and the ECU is malfunctioning and need to be replaced. Apparently it cannot withstand the heat in the engine compartment, yet it is mounted right on top of the engine. Mercedes has become a joke!!! Well from what I have just read I will not be buyibg another one I have a 1989 190e and it has been the best little car that I have had but it was built before they started useing cheap wiring . The car has been well taken care of and is like new . I done my own work on it because that is what I did for a living. From all these story's this should be put on the news and drilled in to the people like they do when other thing happen . Mercedes use to be a good car as long as you took care of them like anything eles. I will start posting the problems on all of the blogs that I can get on to make the public aware. Then maybe mercedes will start filling it in their pocket . That is the only way you can make them pay because they want have no recalls and if it does go to a court you want win . Their is not a judge that will rule aganist them . I don't know why but I have seen a bunch of these problems in court rooms and they have never been charged..
im planning on purchasing an older model mercedes, i am completely un-knowledgeabe about cars in general. can someone confirm, as long as i stick with years 1990 and before the wiring issue shouldn't be a problem is that correct? for instance a 1990 500sl should be safe, yes? is the wiring problem in 1991 cars too or only 1992 and up? Any Mercedes built after the late 80's is suspect. Mercedes has intentionally concealed this defect in the past so there is no assurance they continue to use this defective wiring on new vehicles. Unfortunately, the defect manifests after the warranty expires and most people don't know they have legal recourse to go after Mercedes even then, but is very hard to do and Mercedes Benz will always deny any problems as they have done in the past. if you own one of these fancy lawn ornaments I think the fastest easiest and best course of action would be to sue the dealership directly for knowingly selling defective and potentially dangerous goods. Involve the dealership owner personally as well as service manager personally. Include all pertinent material regarding substandard wiring and wire stock. inundate the dealer with Discovery requests regarding all service records re. Electrical repairs on effected vehicles. Upon their answer to the complaint I would immediately asked for a summary judgment. involve local media as well. Dealer will most likely fix your car and make yo go away.
" I do not trust this vehicle at all.......What if I am traveling on an expressway at 65mph? and it suddenly quits running? I feel this is a safety factor for sure...Will NEVER purchase another MB...."
EXACTLY THE POINT. This defect has likely killed people, but due to Mercedes-Benz strong influence with the NHTSA, the feds have done nothing (as in "corruption") despite the abundant evidence of this very dangerous safety defect. I own a 2015 GLA...It is now in MB Dealership in Daytona Beach , Fl for the second time in a couple months...Both times it chugs, looses pwr and then quits..All lights on dash are on..Towed in and after a 3wk wait returned to me....the "wiring harness" was replaced...Now I am waiting to pick it up again after the same failure..the service advisor said they did what MB told them to do ..But it sounds like he was not sure of the outcome either...Said he found a "fix" online about setting some "pins"? I do not feel safe with this vehicle..It is a safety hazard ! I will do as I have read here and report to authorities...And see about getting an attorney to sue the dealership etc....This is outrageous..
Hi I own a 2001 Mercedes Benz c240 and have owned it since 2007 it is giving me such a headache! Flashing code after code at me yet drives ok. I have replaced and spent money on this car and just want to know if anyone can tell me what is wrong being no mechanic seems to know? ESP,BAS,ABS all cycle and some days switch on all the along with not available after each code. Anyone on here that knows what that means after I have literally replaced everything on this vehicle? Please dont forget to file a complaint with the NHTSA and copy your representatives in Washington. Mercedes does have a very strong lobby and the NHTSA will do nothing without public pressure. lifetime of the car or the lifetime of their plans? They need to stop their inferior work and start thinking about quality products for their customers. SHAME ON YOU MERCEDES BENZ. So for two days now, I have been researching how to handle the issue with my GL550 2008 SUV. I am a single mom who has been stranded three times wherein my truck completely went dead. Similar issues stated above the dashboard lights are all on, burning smell, and the truck will not move--the it just stops. It is not good with a woman gets stranded in the middle of the street. The first incident costs around 1,500USD, the second issue costs 4,500USD; and now this this third issue --not sure. I put my car in the shop today and the dealership can't figure out what are the issues with the computers. They said many codes are showing up and they don't know where to start to find the trigger.